We are proud to serve Massachusetts with Fiber Cement Siding, Fiberglass Siding, Vinyl Siding, Insulated Siding, Wood Shingle Siding, Exterior and Interior Painting, Windows Replacement, and Deck Construction/Decking Replacement for residential and commercial customers. Our painting services division is ready to handle your paint project within your budget and schedule. As Paint Company serving MA, we will be happy to make your house look great; interior or exterior home paint, we work with Sherwin Williams, Benjamin Moore, Cabot Stain, California Paints, C2 Paint to provide to you different options on colors and finishes. Why should we use low VOC paint? Is your house siding paint peeling off? Franca Services' commercial painting division is committed to long-term relationships with our clients, we are always striving to improve quality and seeking for the best results and methods, so that we can accomplish the time-frame given to us, after any contract is awarded. James Hardie Fiber Cement Siding is a great option to add value and beauty to your property. James Hardie Siding Products offers HardiePlank Lap Siding (Hardiplank), HardiePlank Shingles, Hardieboard (Hardiboard), different sizes of trim boards. All products in ColorPlus Technology. We also offer Certainteed WeatherBoard Fiber Cement Siding. After more than 50 years of existence vinyl siding still a great and affordable option to keep your house maintenance free for many years to come. Insulated siding is expanding its market because offers tremendous savings in energy. Being a Vinyl Siding Contractor we work with many manufactures including Certainteed, which offers Cedar Impressions Shakes, Solid Core Insulated Vinyl Siding, Vinyl Siding, Vinyl Soffit and Vinyl Trim. 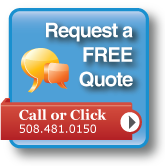 Contact us today for a free quote on you home vinyl siding project. Install vinyl siding on a new home or re-siding an old one? Let us help you with your window installation so you can stop losing money right out of the window. Save money by having energy efficient windows installed and also is a great option to add value to your property. We work with the best brands to give you the best options possible in Fiberglass Windows, Wood Windows and Vinyl Windows: Pella Window & Doors, Marvin Windows, Integrity by Marvin, Simonton Windows, Andersen Windows and more. Wood Window Or Vinyl Window? Are your new construction windows in the same level? Replacement Windows: Which one looks best? We can build your deck from footings to the last rail system. Our team will make your deck come true. We offer to our costumers the best brands in composite decking and composite rail including GAF Composite Decking, Azek Deck Products, Timbertech, Trex Deck, and more.